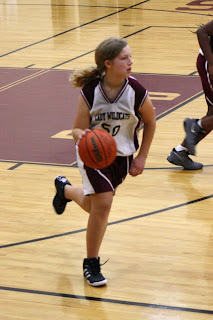 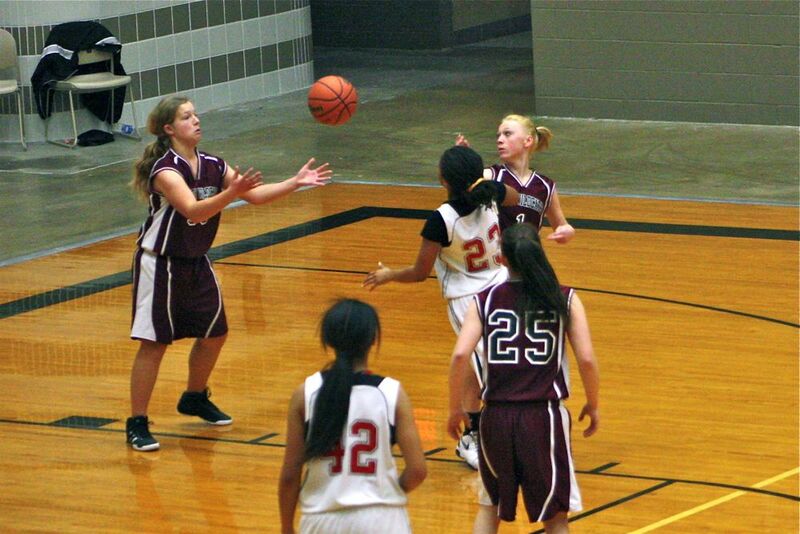 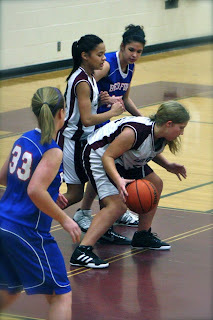 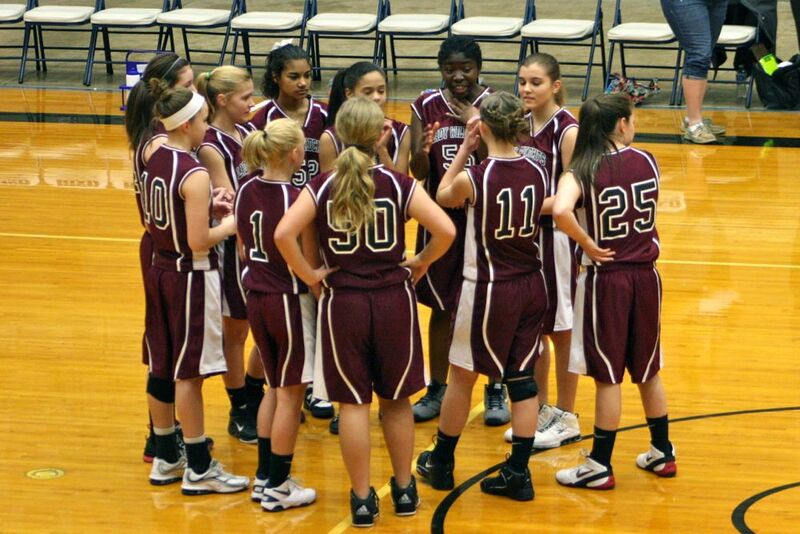 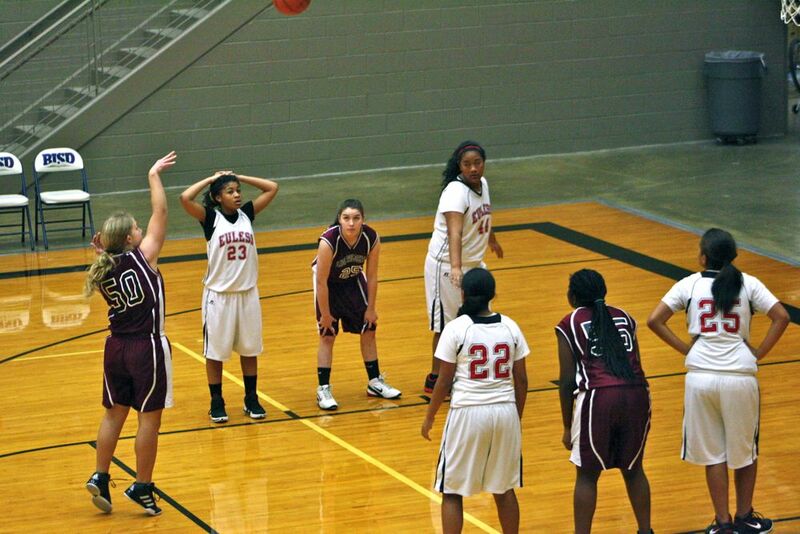 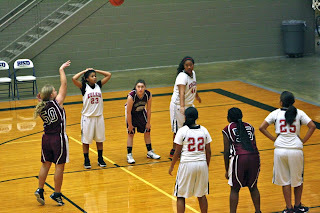 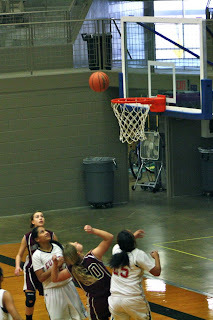 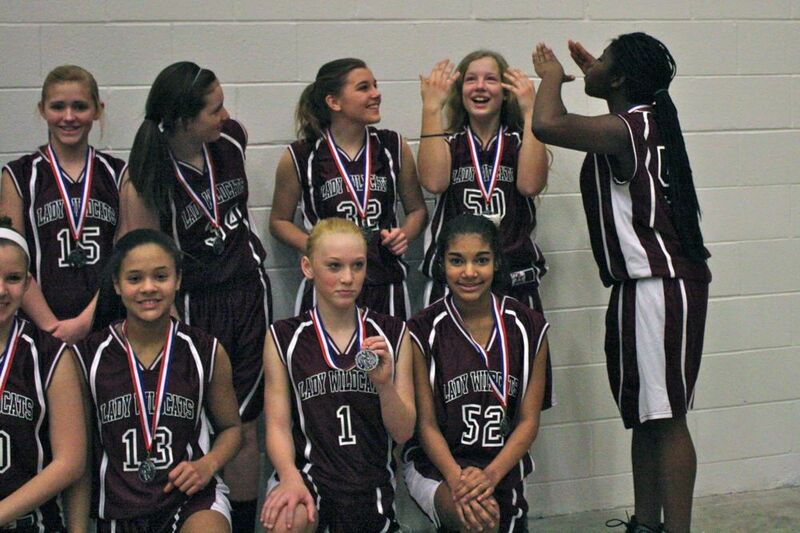 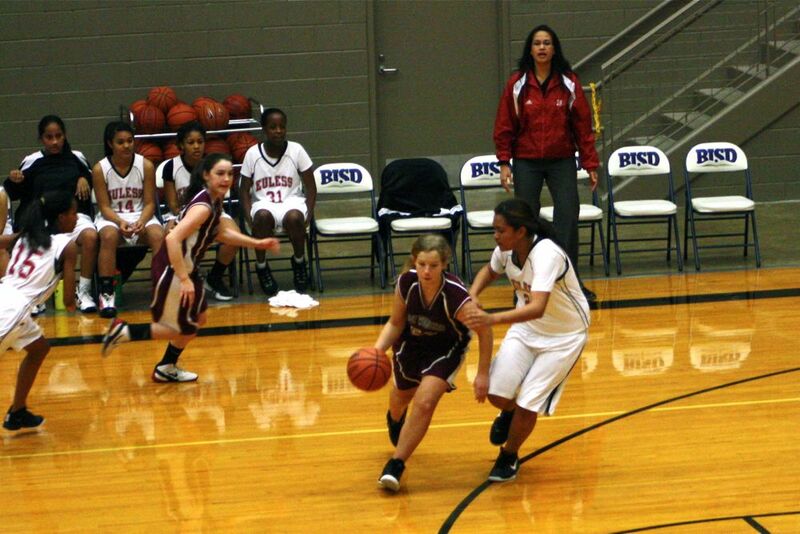 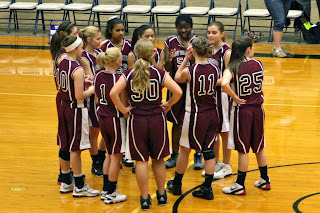 Katie's eighth grade basketball season came to a close with the district tournament. Katie's team won their opening round game, which qualified them to play in the silver bracket championship in the district's coliseum. 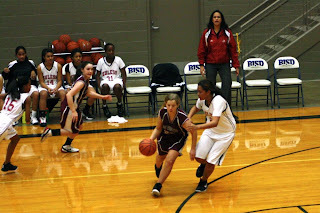 It was fun to watch them play this season-ending game in such a big venue. 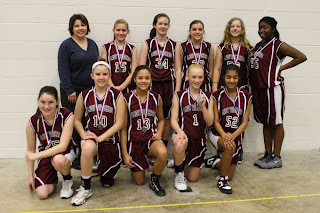 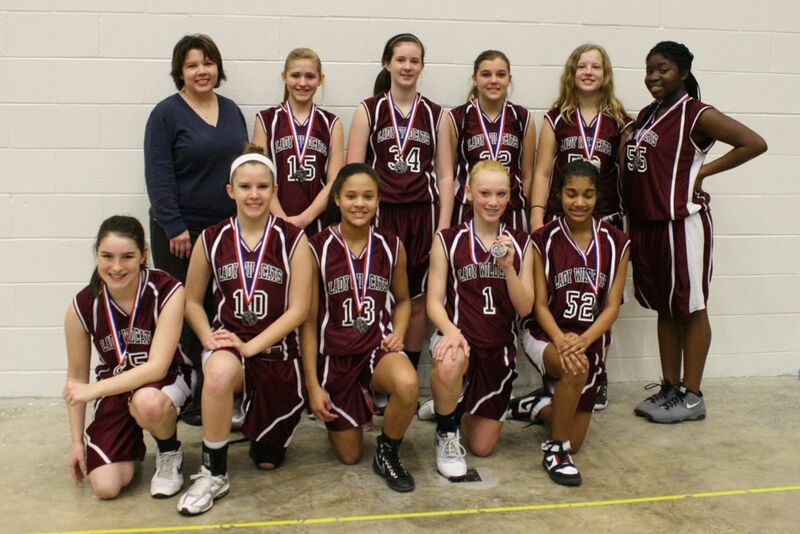 The Lady Wildcats lost the championship game, but coming in second in their bracket's not bad! 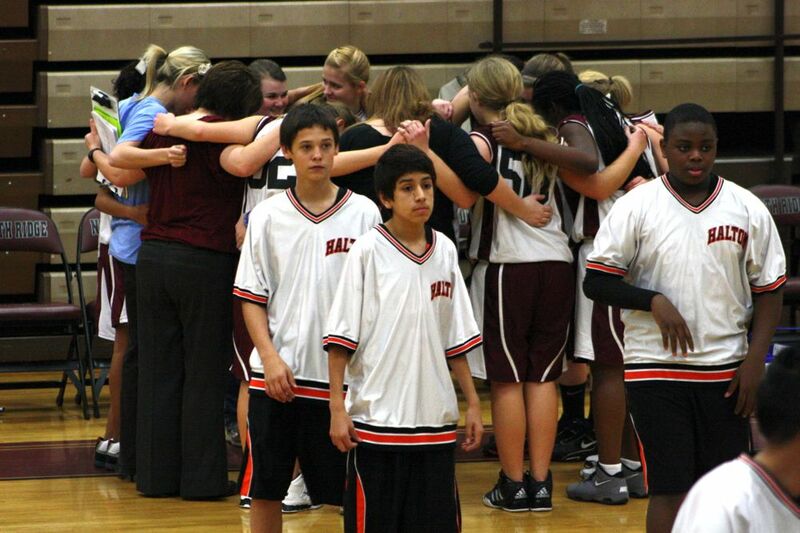 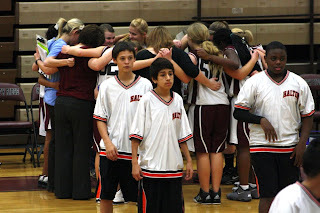 Afterwards, Katie got a little emotional when it was time to take the last team photo. 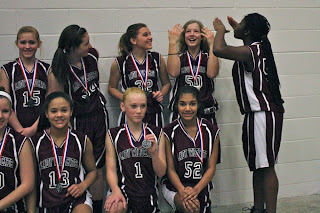 Her friend helped her dry her eyes.